Shou Shu is an ancient Chinese martial art that utilizes the movements of seven different animals to develop exceptional fighting skills. Unlike other systems, Shou’ Shu’ is not a sport martial art. The art encompasses a complete self defense system utilizing joint locks, nerve shots, practical kicks, devastating hand strikes and much more, based upon real life situations one would encounter on the streets against one or multiple attackers. 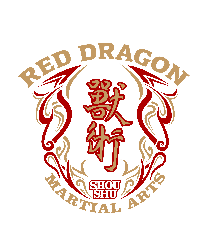 The experience at Red Dragon Martial Arts is made unique by focusing on private lessons for every adult student. By having individualized lessons that are specialized for each student as well as group classes, students will be able to progress at a pace appropriate for them. All of our private and group lessons are taught by certified instructors, so you know you are getting the best training every time you come into the studio. Our studio is open from 4pm to 9pm Monday thru Friday. Come in today and see why people are calling this system the most complete Self-Defense Martial Art out there. Unlike other systems, Shou’ Shu’ is NOT a sport martial art. The art encompasses a complete self-defense system utilizing joint locks, nerve shots, practical kicks, devastating hand strikes and much more. All are based upon real life situations one would encounter on the streets against a single or multiple attackers. Please come in for a free introductory lesson and attend a group class or two for free. Speak with the other students and see what it has done for them. You’ll also discover that the environment is friendly and inviting and that everyone in the school is there to help each other succeed and improve. Sijo Da Shifu Albert F. Moore, Sr. developed the unique teaching style we use today. Combining the Chinese animal arts with the teaching forms of other martial arts, he developed a teaching method of combined animal styles and belt ranks. This unique method greatly enhances the skills of the martial artist at any level.